Hot smoked salmon on a stick might seem like a strange name but you have to understand that we normally smoke salmon a little on the cool side, we fuss over it, try to make sure the white stuff (albumin) does not emerge to the surface and take all kinds of pains with it (or at least I do). This version of smoked salmon is easy, hassle-free, and folks love having their own skewer of smoky salmon to eat. 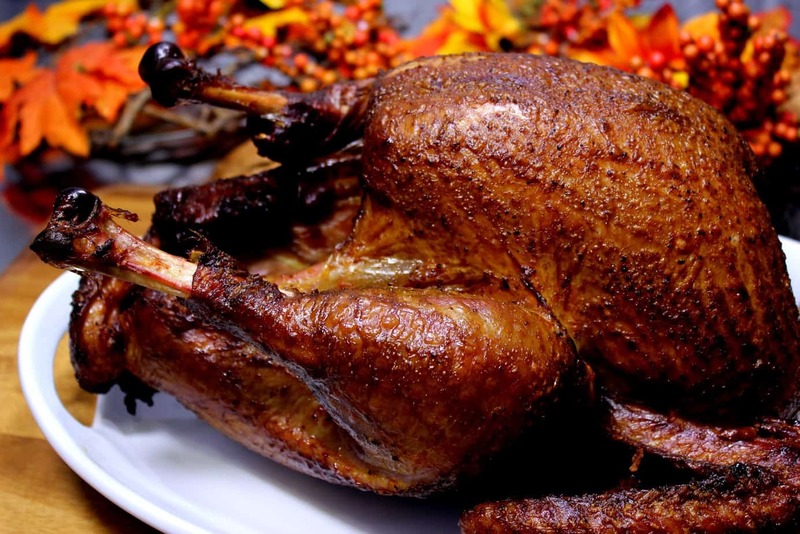 When it's almost finished, we even brush on a little glaze to add some great flavor. 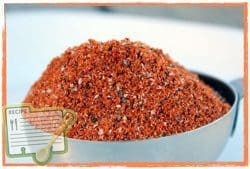 My rub is no stranger to salmon and as many of you have already discovered, it is every bit as good on salmon as it is on pork or anything else you might smoke up. 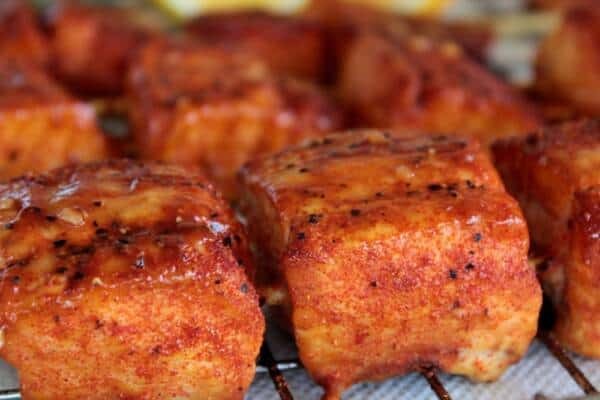 The flavor of my rub and sauce compliments the fish amazingly well without hiding any of that natural smoked salmon goodness. It is best to separate the thick side from the thin side. 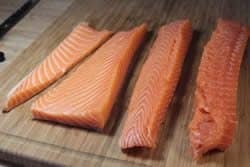 Look at the cross section of your fish and decide which part is thick and which is thin and simply cut them apart as shown below. Further separate the thick and thin sides into strips that are about 1.5 to 2 inches wide. To make it easy to remove the skin, make vertical cuts through the fish stopping when you reach the skin. Then slide the knife under the fish at about a 10 degree angle to separate the fish from it's skin. Easy peasy! 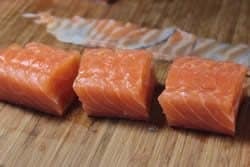 Once all of the fish is separated from the skin, separate them into groups of 4 or 5 of the same thickness since you will want each skewer to have similar thicknesses of salmon. This way all of the fish pieces on the same skewer will get done at the same time. Place 4-5 pieces of salmon onto each skewer. I opted to use two skewers in each one so that I could flip them over easily if I wanted to. This is completely optional but I do recommend it. 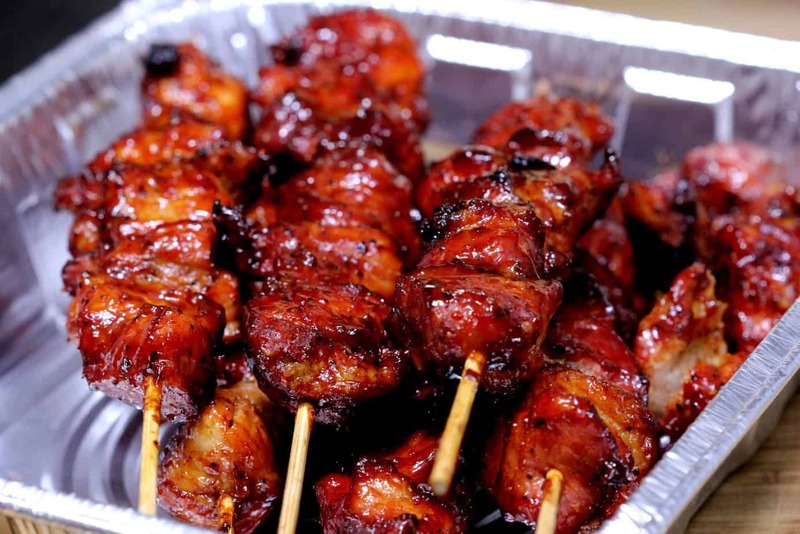 Once they are skewered, place them on a Bradley rack or cookie sheet to make it easy to carry them out to the smoker. 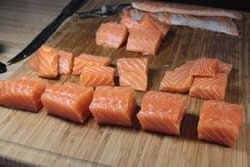 Brush some olive oil onto the salmon pieces to help the rub to stick and to aid in helping the fish to not stick to the grates or whatever they are laying on. Sprinkle a little of my rub on the salmon skewers making sure to hit the top sides and bottom for maximum flavor. 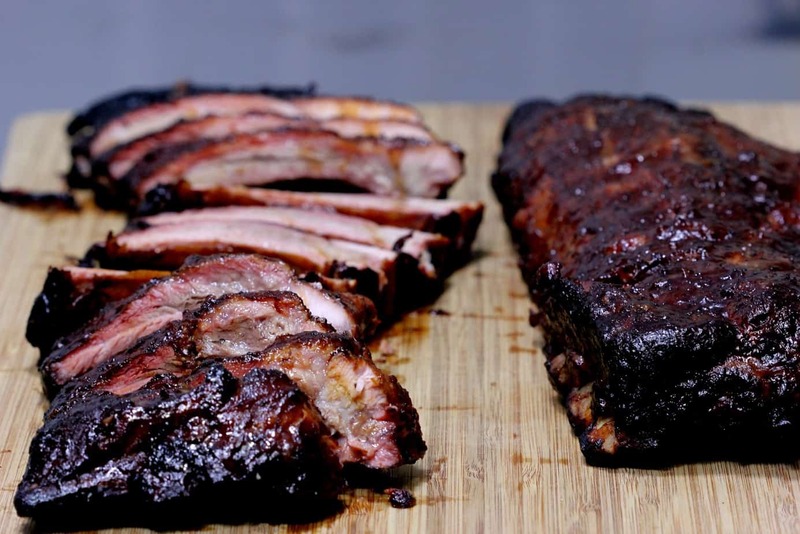 You are looking for about 30-40% coverage which means you are not trying to cover the salmon up like you would on ribs but just get a good sprinkle on it. I like to use the Bradley smoker when I am doing fish and these salmon skewers were no exception. 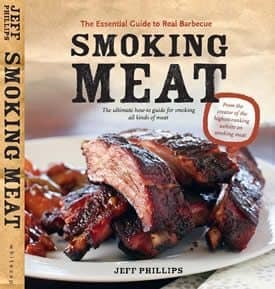 Obviously, you can use whatever smoker you have and as long as you can keep it around 225°F, you will be fine. 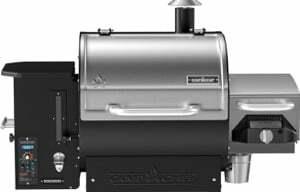 Get the smoker set up, fired up and ready to go and once it's holding the goal temperature, you are ready to smoke. 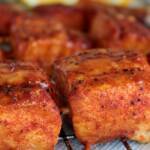 Tip: lay the salmon on pieces of parchment paper instead of directly on the smoker grates. It completely eliminates the sticking problem. To make sure the paper does not block the flow of smoke, cut the paper into strips about 12 inches long and 3 inches wide and place one under each individual skewer. Be sure to leave about ½ inch between each strip of paper. This allows the smoke to flow properly and still works great at keeping the fish from sticking. 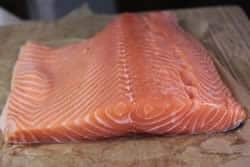 Let the salmon smoke cook for about 1 to 1.5 hours depending on the thickness of the salmon or until it reaches 145 °F in the center of the fish. 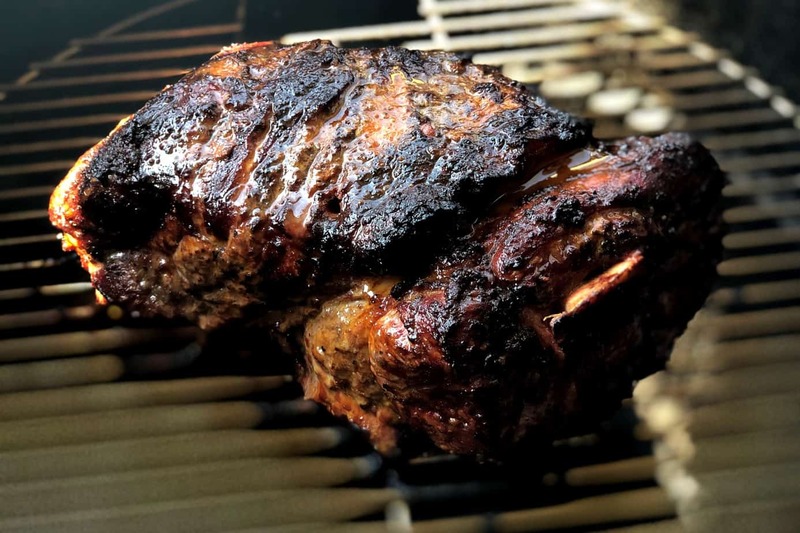 Temperature is very important when smoking meat so you really need to invest in a good meat thermometer if you don't already have one. 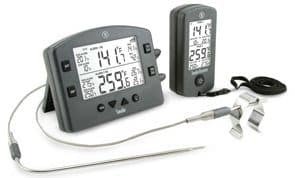 The Thermapen is a great thermometer to have especially for things like salmon where you may not want to leave the thermometer in the whole time but you want to check it periodically. 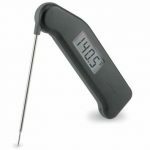 The Thermapen is a high quality thermometer used by all of the pros and us backyard guys like them as well. 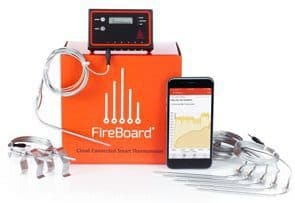 The cool thing is that it reads in around 2 seconds and you can quickly and easily check things like salmon to make sure every piece is perfectly done before removing it from the smoker. It comes in a variety of 14 different colors.. mine is black but hey, if purple is your thing, then go for it! 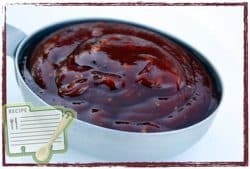 About 15 minutes before the salmon is finished, brush on some of my barbecue sauce thinned with a little water, fruit juice, beer or even your favorite soft drink. I usually mix 1 part liquid to 1 part sauce to make a nice glaze that brushes on easily and adds a lot of flavor. Serve the salmon skewers right away.. no need to wait around. I did not brine or marinate this salmon, but you could if you wanted to. Use my normal brine formula of 1 gallon of water, 1 cup of salt and ¾ cup of brown sugar and place the fish pieces in that for 1 hour. And.. because I know that someone will ask, I have not tried my Texas style rub recipe on salmon yet but I am quite certain that it would work well. If you try this, be sure to let me know how it goes. 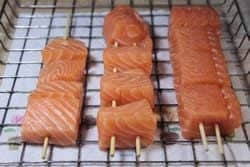 This hot smoked salmon on a stick recipe is easy, quick and gives everyone their own skewer full of wonderful smoked salmon. You gotta love that! Cut salmon in half lengthwise separating the thick part from the thinner part. Sprinkle Jeff's rub onto the salmon to add a nice layer of flavor and seasoning to the fish. Smoke fish at 225 °F for about 1 to 1.5 hours or until it reaches 145 °F in the center. Use a thermometer to check the temperature of the fish after about 45 minutes or sooner if the fish is a little on the thin side. 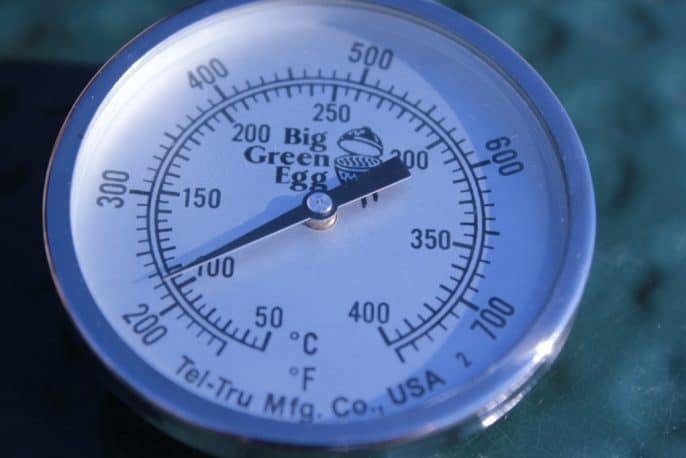 When the fish has reached 145 °F, remove it from the smoker and serve immediately. 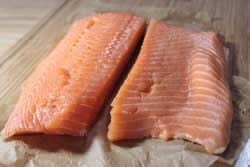 Just wondered if you ever had an issue with fish smell in your oven after cooking fish / hot smoking salmon and if that has any impact? jeff, thanks for the web version and the new printable version you have added at the bottom of the recipe page. 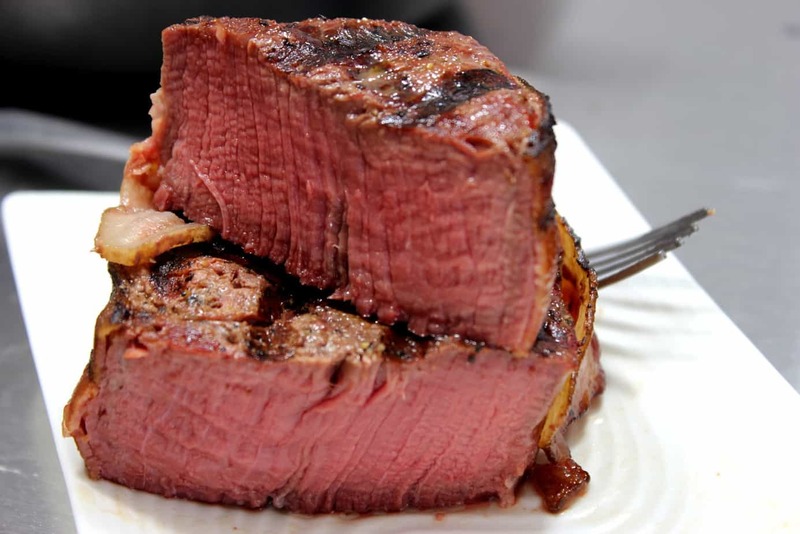 it has always been a hassle to print your recipes in the past but this makes it a lot faster. 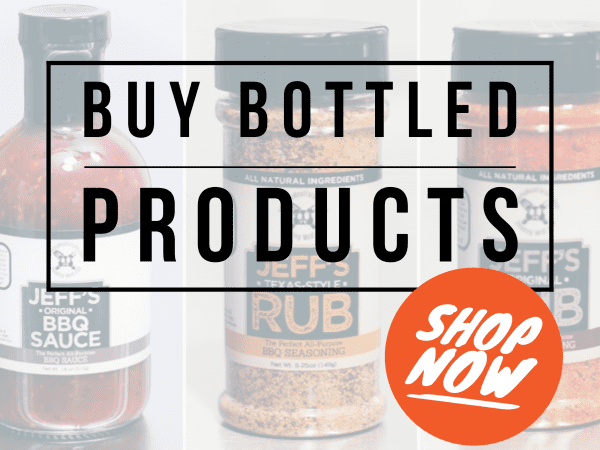 i have bought your rub and sauce recipe in the past and have also bought for my son and son in law. the thermapen thermometer is fantastic. i have also bought those for my kids as well. 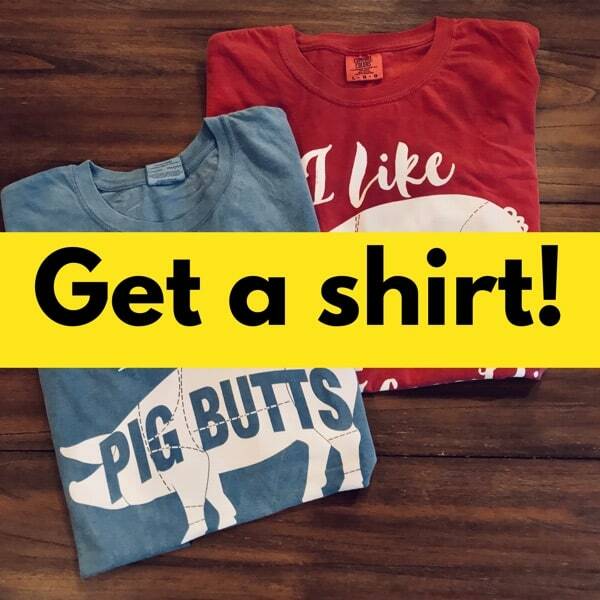 they make great stocking stuffers. we all think its great. 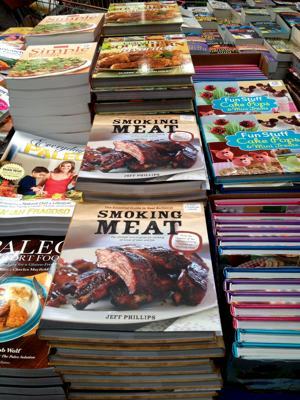 i do use a pellet smoker and with a little tweaking to temp and time your recipes are great ideas for the weekends. keep up the good work and as always, look forward to your emails.